*On request, we can arrange a private tour for your party only. 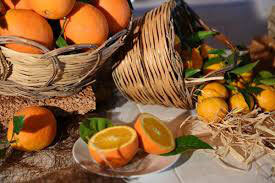 Sicily is famous worldwide for its exceptional, distinctive and original cuisine. What makes Sicilian cuisine so unique? Due to its eventful history, during many centuries Sicily was soaking up culinary and gastronomic traditions of many different cultures - Greek, Roman, Byzantin, Arab, Norman, Spanish and Italian. All this heritage was adapted, melted down and finally transformed into the authentic Sicilian style. During this unique Organic Food and Wine Tour of Sicily led by a knowledgeable licensed guide, who is a professional experienced chef as well, you will enjoy the best fresh organic food and distinctive wines of this beautiful island, discover the history of Sicilian culinary and wine tradition, and Sicily itself. We will visit organic food farms of Caltagirone, as well as ceramics laboratory where you will paint your own hand-made ceramic souvenir. 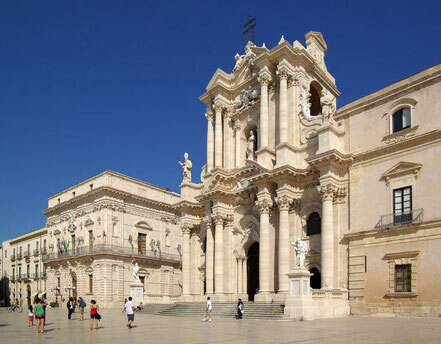 We will discover Greek, Roman and Baroque history in Syracuse and Noto. We'll sightsee the amazing Donnafugata Castle in Ragusa. 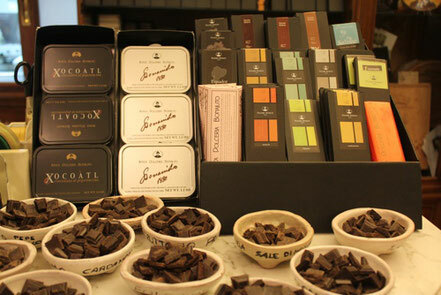 We will visit the famous chocolate shop Bonajuto and a family chocolate farm in Modica, capital of Sicilian chocolate. We'll conquer Europe's highest active volcano Mt. 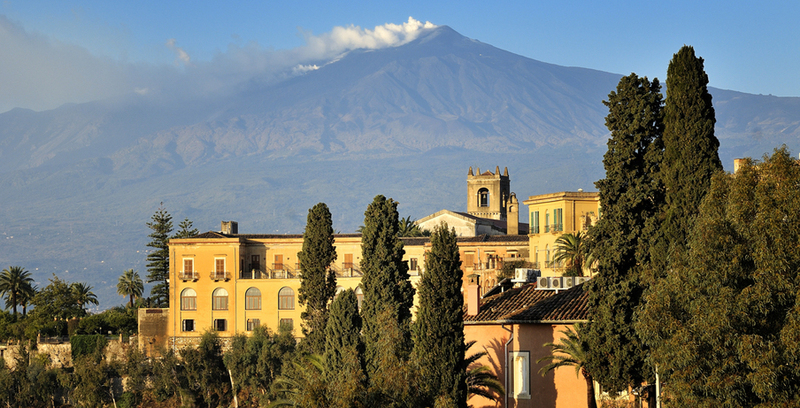 Etna and enjoy distinctive wines and food at one of the best Etna wineries. 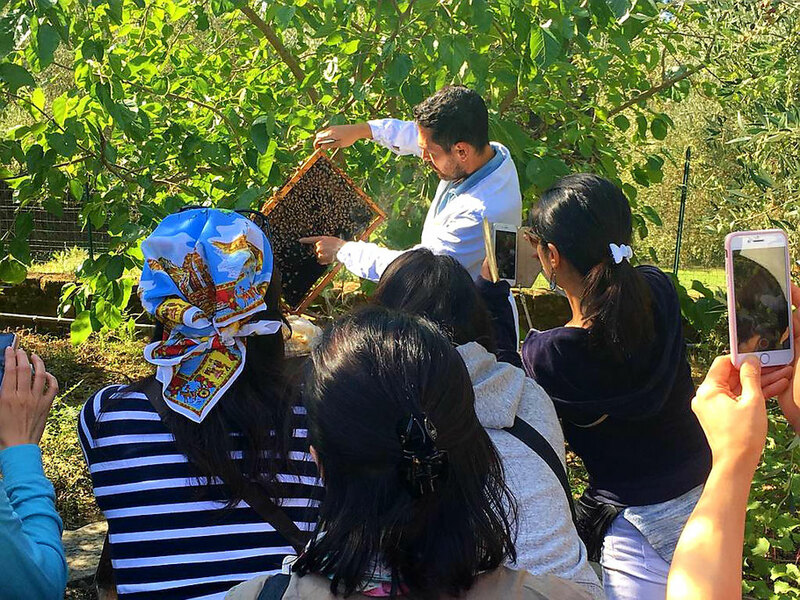 We'll visit a honey farm on Etna slope and taste the local varieties of honey and olive oils. 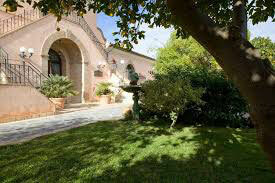 We'll learn to cook incredibly delicious Sicilian dishes in the company of a local professional chef. We'll explore magnificent and picturesque narrow streets of Taormina, the pearl of the Mediterranean. 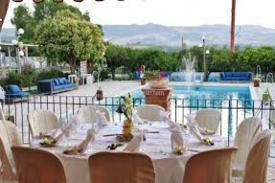 We'll sightsee majestic Valley of the Temples in Agrigento and relax on splendid beaches of the Scala dei Turchi. We'll take away the best memories and wondrous bouquet of impressions of this unforgettable Organic Food Tour of Sicily. Join us on this unique Organic Food and Wine Tour of Sicily! 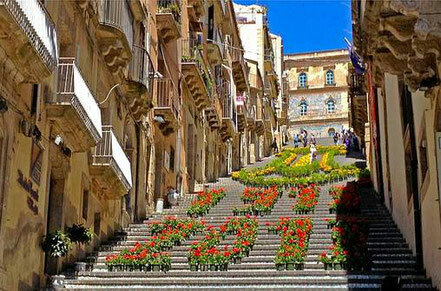 Welcome to Sicily! 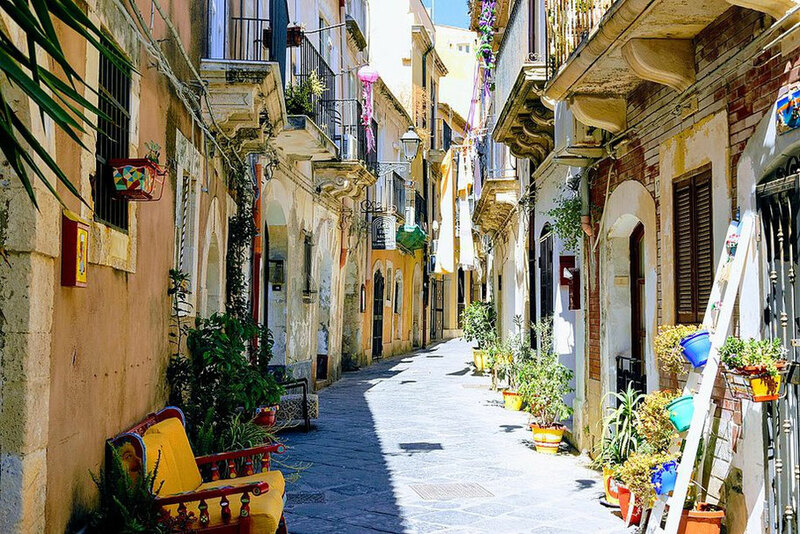 Your English-speaking guide will meet you at Catania Airport, and while you are admiring spectacular views, will take you to Caltagirone province. 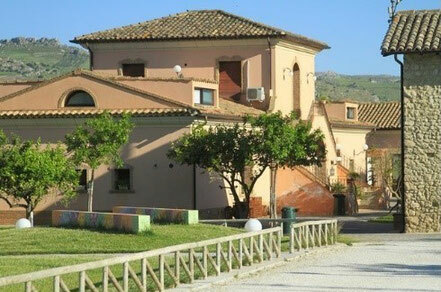 You'll be housed in an old estate, high-level "agriturismo" hotel, located amidst picturesque and peaceful nature of Sicilian countryside. 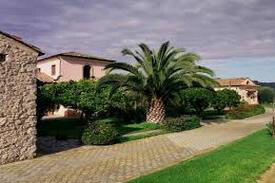 The estate is famous for its outstanding cuisine, they produce their own organic food. After check-in, you can relax enjoying beautiful outdoor swimming pool or SPA. In the evening we will meet at the restaurant of the agriturismo and relish amazing dinner cooked with the organic food of local produce. 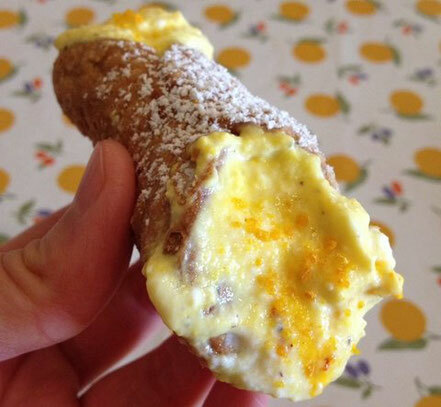 Among other, you will taste famous Sicilian "arancini" - deep fried rice balls staffed with meat ragout with peas, and cannoli - original Sicilian dessert with sweet ricotta cheese. Naturally, with excellent wines and liqueurs. 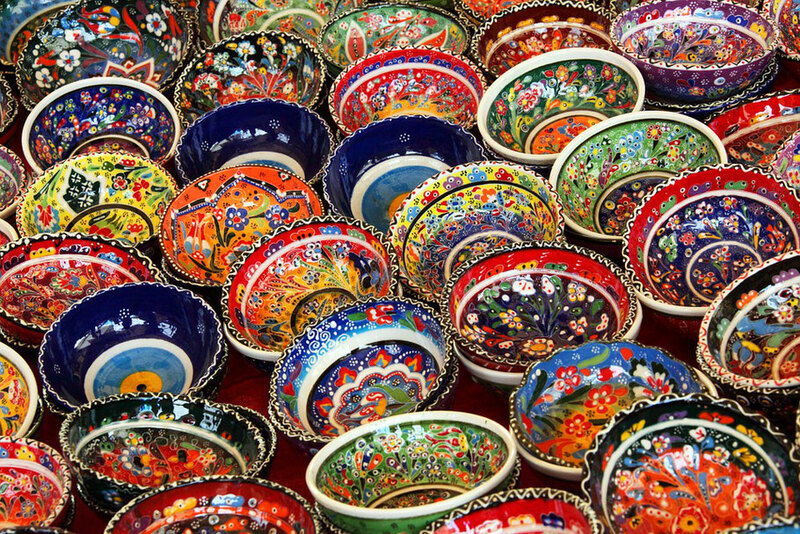 After breakfast we set off to visit Caltagirone - a capital of Sicilian ceramics and UNESCO heritage. Along the way, we will pick up several farms in the countryside and taste organic food and drinks of local production: prickly pears, oranges, tangerines, grapefruits, lemons, vegetables, honey, organic saffron and chili peppers. At one of the farms, we will enjoy a traditional Sicilian lunch with fresh ricotta cheese, breaded peels of prickly pear, kefir, saffron risotto, grilled vegetables, barbeque sausages, salad, fresh home bread, sun-dried tomatoes, cannoli, with wine produced in Caltagirone. 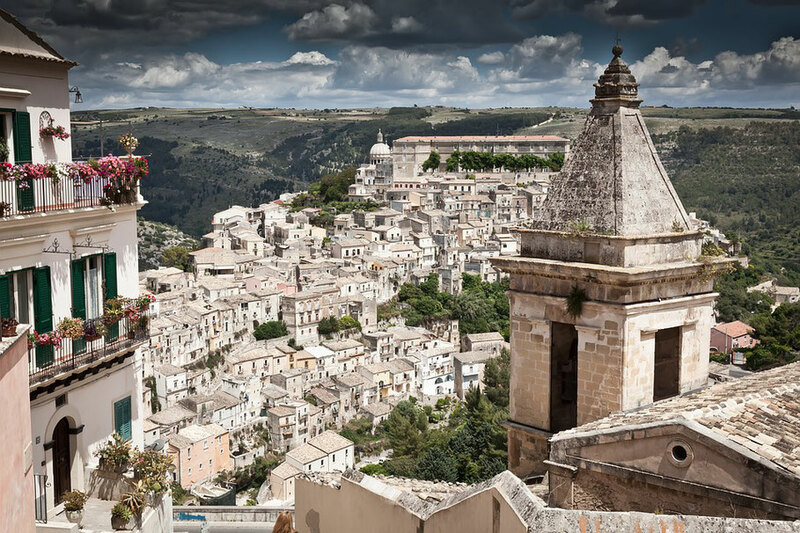 After this hearty lunch, we will continue the tour in Caltagirone and visit a famous staircase of 142 steps, covered square, "Carruggi" small streets, the Arab Quarter, tasting Sicilian ice cream along the way. Then we will visit a pottery, where a ceramist will demonstrate us the production and you will paint your own hand-made ceramics souvenir to take home as a memory of your Sicilian vacation. After this unique experience, we will have dinner and taste many different kinds of pizza cooked in an old Sicilian pizza oven. Of course, in the company of wine, beer, limoncello, coffee and water. Our unique enogastronomic tour of Sicily continues, and today after breakfast we'll go explore the heritage of Syracuse and Noto. First, we will visit Syracuse, the most ancient city on the island. The first ancient Greek colony in Sicily, the home of Archimedes is here. Have you ever seen the Duomo, a Catholic Cathedral built in the colonnade of an ancient Greek temple? Well, you will. There is also a very beautiful embankment with a tower jutting out into the sea, the fountain of Artemis, the fountain of Aretusa and the church of Saint Lucia, where Caravaggio’s masterpiece “The Burial of St. Lucia” is on display. We will visit the Syracuse's Neapolis and see the oldest Greek theatre in Sicily, the ancient Greek prisons, Ear of Dionysius, the Roman Amphitheater. We will have lunch in the heart of Syracuse, included typical menu with appetizer, pasta, main dish and lemon sorbet with water and wine produced in Siracusa. 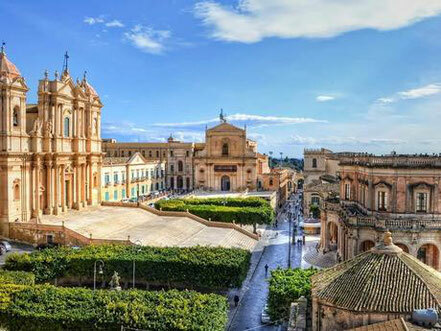 After the lunch, we will admire Noto - the capital of Sicilian baroque and UNESCO heritage. Strolling its magnificent streets with you knowledgeable guide, you will leart about the history, culture and traditions of amazing city. 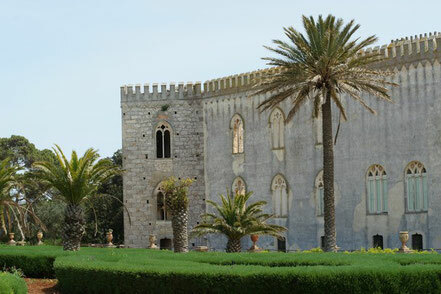 This morning we will travel out into Sicilian countryside and sightsee the Donnafugata castle - an ancient, but well preserved estate famous thanks to The Leopard novel. After the walking tour of the castle and its beautiful gardens, we will visit a local cheese farm. Here we will taste fresh warm ricotta prepared in the early morning. 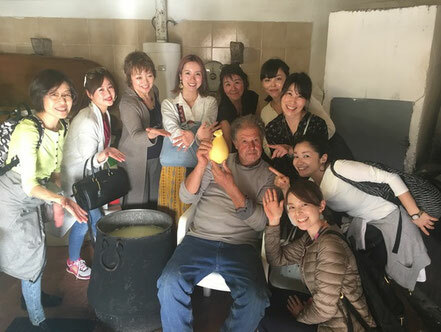 We will assist in the preparation of typical cheese of Ragusa - DOP Caciocavallo Ragusa, visit the barn and the animals, and meet the shepherd who will explain us all about cheese production. After this unforgettable experience, we will enjoy a hearty lunch of organic Sicilian products, appetizers, first and second courses, wines, limoncello, water and coffee. After the lunch, we will have a walking tour of Ragusa, famous World UNESCO heritage site for its amazing Baroque architecture, and Modica - another Baroque town and a capital of Sicilian chocolate, where we will visit a famous chocolate shop Bonajuto and a family chocolate farm producing organic chocolate with various flavors - pepper, cinnamon, vanilla, almond, etc. Then we'll return to the farm, where we will be offered dinner, fully prepared from local produce, of course, accompanied by local wines. 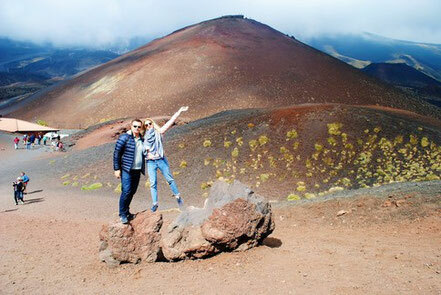 After breakfast we set off to conquer Europe’s highest active volcano, Mamma Etna, as Sicilians themselves call it. We'll pass by picturesque towns on the slopes of the volcano, vineyards, olive and almond groves, citrus plantations, hillocks of hardened lava, houses and churches built from volcanic rock. Along the way, we will pick up an apiary in one of the local villages where we will try organic products of our own making: various varieties of honey and olive oil, green and black olive pies, pistachio pesto, sweets - all paired with Etna DOC red, white and rosé wines, sweet wines and liqueurs, including the 70-proof liqueur "Etna Flame". 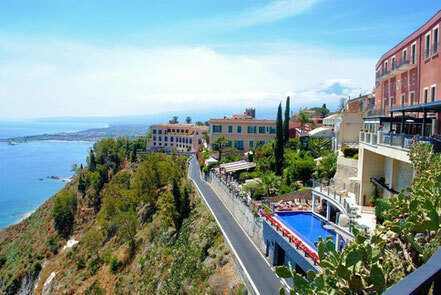 Then we'll refresh in some bar or restaurant and set off for Taormina, Sicili's main resort and the pearl of the Sicilian coast. Leisurely walking along the beautiful narrow streets we will see Palazzo Corvaja, ancient Greek Theatre and the Roman Amphitheatre, Santa Caterina church, enjoy the view of "Mamma Etna" from Piazza IV Aprile, visit the Cathedral, and many other important sites of one of the most beautiful towns in Italy. In the evening we will have an organic dinner at our lovely agriturismo, prepared with ingredients produced directly at the farm, of course with local wines, limoncello, mandarinello, coffee and water. After breakfast we will visit Agrigento - ancient Greek city, world known as the site with an extraordinary rich archaeological heritage. 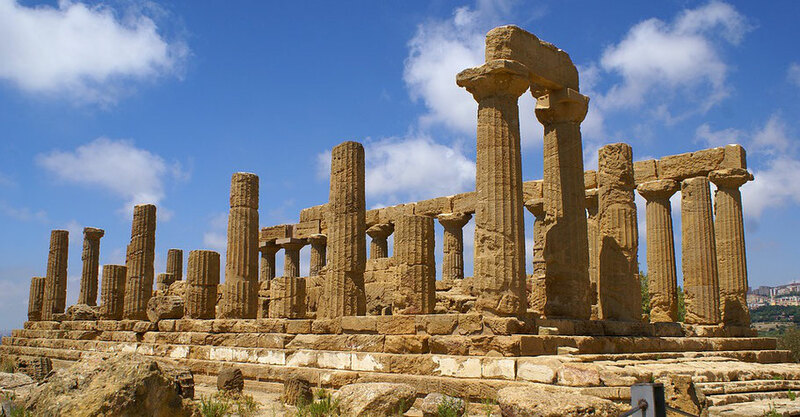 With your knowledgeable guide explaining about the history of Agrigento, you will visit the city and of course, the Valley of the Temples - one of the largest and best preserved ancient Greek sites in the world. 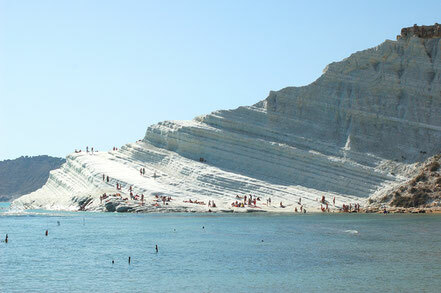 Then, your guide will take you to one of the most picturesque beaches in Italy - famous Scala dei Turchi ("the Stair of the Turks"), where you can relax, swim and take pictures. After refreshing on the beach, we'll go to Caltagirone to learn the secrets of famous Sicilian cuisine on the private cooking class at a beautiful Sicilian villa, situated on the top of the hills. 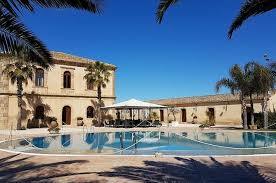 Your private certified chef will show you how to cook some typical Sicilian dishes. During the class, you can sip some wine and enjoy organic green and black olives, cheese bread and tomatoes. Finally, you will sit at a table on the terrace observing amazing panoramic view, and enjoy the lunch of your own hand-made dishes. We'll have breakfast then set off for the airport. See you soon, Sicily! Until we meet again, Sicilia! 6 nights at the historic estate, high-level "agriturismo" hotel, located amidst picturesque and peaceful nature of Sicilian countryside. 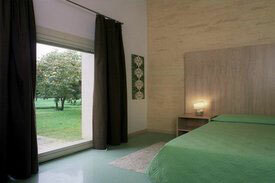 The estate is famous for its outstanding cuisine, they produce their own organic food. Services: SPA, swimming pool, restaurant, hotel bar, parking, airconditioner, mini-bar, toilet set, bedroom and bathroom linen, hair drier, wi-fi, TV, daily room cleaning. 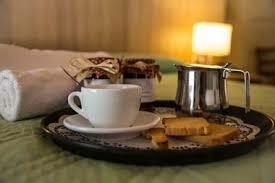 To guarantee a booking, we require deposit in amount of 450 euros per person.